VP Racing Team was put together by Ben Varozza &amp; Jacob Pacheco in the fall of 2011. After crewing for another Ultra4 car the previous 2 years Ben &amp; Jacob got the race bug &amp; decided to build a car for the EMC Stock Class. Ben is an experienced Rock Crawler &amp; Jeep Builder/Fabricator. Jacob is an experienced Dirt Oval Track Racer and together they have made a good race team. VP Racing is very grateful of all their Sponsors. 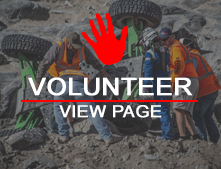 Varozza 4x4 Outfitters, Genright Off Road, Currie Enterprises, Falken Tires, 4wheel Parts, Pro Rock Engineering, Amsoil - Oil Tek Solutions, West Coast Differentials, Ruff Stuff Specialties, Adco Driveline, Eagle Radiator &amp; Muffler, Alpine Designs, Guts Racing. A special thanks to all the help &amp; support of our Wives, Families, &amp; Friends.